They are also in a larger class of drugs called 'Antiarrhythmatic' or 'Antiarrhythmic' drugs that are supposed to prevent irregular heart rhythms. They are given to people with high blood pressure, heart rhythm problems called 'Ventricular Tachycardia', and Atrial Fibrillation. Additionally, their administration is the 'Standard of Care' for all cases of Heart Failure- meaning that doctors are obligated to put heart failure patients on beta blocker medication unless there is a medically justifiable reason not to. Well, with the side effects of beta blockers that will be listed below, these seem like they just might be medically justifiable reasons not to give beta blockers, unfortunately the medical profession doesn't see it that way. 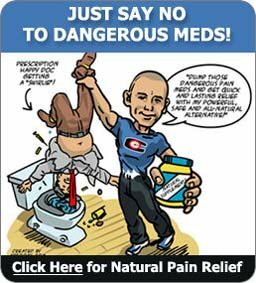 (burning, tingling, pain, numbness, or poor circulation in the hands and feet), claudication, hyperkalemia (muscle cramps), muscle fatigue, lowered libido, impotence,postural hypotension, raised triglycerides, lowered HDL, raised LDL, and hyperglycemia." 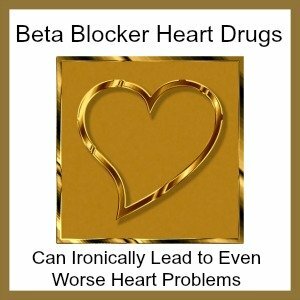 While beta blockers seem as though they should be life SAVING medications, this is not necessarily true and may even be more deadly, in certain people, than receiving no drug at all! Beta blocker medication can lead to a condition called Prolonged QT Interval which can lead to a deadly heart rhythm called 'Torsades de Pointes' which can occur in between 2.5 to 4% of all people that receive beta blocking medications. Torsades de Pointes is a very specific heart rhythm that means your heart is not beating. Unfortunately, it LOOKS almost exactly the same on an EKG as a heart rhythm that requires emergency defibrillation. But Torsades does not respond to defibrillation, which makes it extremely deadly. While Beta Blocker medication helps with minor abnormal heart rhythms, they CAUSE more deadly ones that contribute to the extremely high rates of Congestive Heart Failure Death! Nice, huh! beta-blocker based strategy to treat hypertension"
Unfortunately, this advice to 'think carefully' before giving beta blockers does not apply to those with congestive heart failure who are still under the standard of care to receive beta blockers on a routine basis. This is especially problematic because most people with CHF are elderly and already frail with multiple medical conditions. Having to also deal with new onset diabetes is not one of the beta blocker side effects that they should have to be subjected to. The blocking of these two nutrients is particularly problematic because CoQ10 Depletion in Heart Failure is already seen as a BIG problem; and the depletion of melatonin can lead to increased aging and worsening sleep patterns in the elderly who often benefit from Melatonin for Sleep even when they don't have heart problems. While you should ALWAYS have the cooperation of your doctor if you would like to get off of any drug, it's especially important that you are under the care of a cardiologist and are being monitored carefully for any ill effects if you decide that it is in your best interest to stop taking beta blockers. 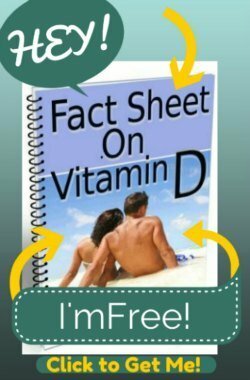 also need niacin (B3) at rather high doses." While it's great to know that there might be ways that you can safely get off of heart and blood pressure medications, unfortunately, just like Antidepressant Side Effects, symptoms of withdrawal can keep you in a trap of never being able to get off of these drugs, or having a very hard time when you try. In the case of the beta blockers, particularly metoprolol, a phenomenon called 'rebound hypertension' can occur where the blood pressure goes up to levels even worse than they were before you took the medication in the first place. Bursts of high heart rates, even at rest, are common, while anxiety, tremors, headaches, anxiety, depression, and general feelings of unwellness(4) can cause those taking the drugs to be stuck on them years longer than they need to be because they simply are unable to stop taking them without severe symptoms. For those that experience these symptoms, 'weaning' off the drug gradually over a period of several months can help diminish the symptoms, but for those who are sensitive, they may experience problems for months and even years after stopping the drugs. Be cautious when starting these drugs, as beta blocker side effects are not benign, and you might be experiencing problems even years after you don't need the drugs anymore.